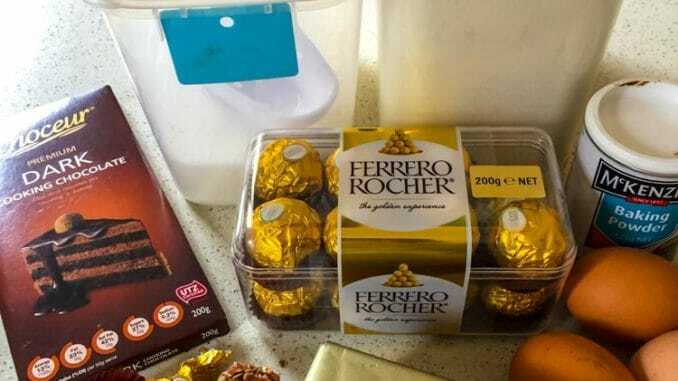 I’m very keen on Ferrero Rochers – chocolate and hazelnut, what’s not to love? 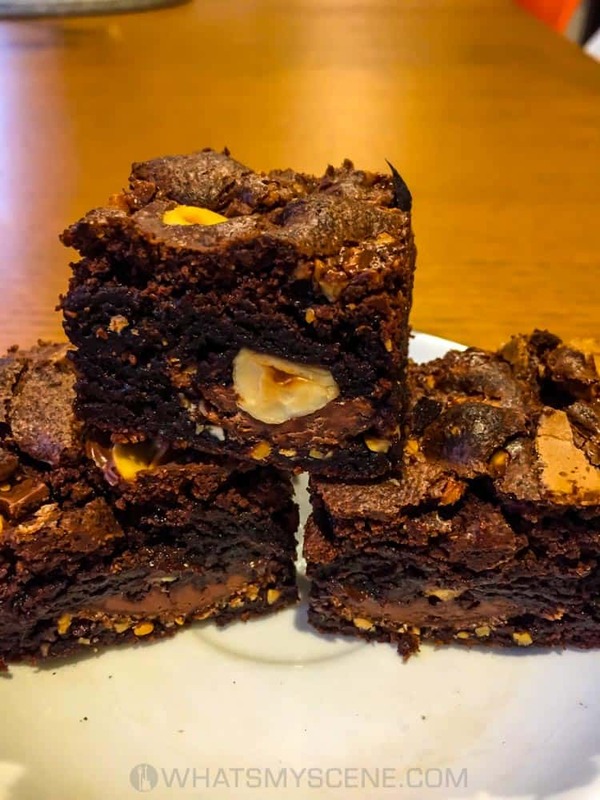 This is a really nice brownie recipe, that I stir Ferrero’s through to make it even more decadent and delicious. I think you will find yourself quite popular if you make a tray of this. Preheat oven to 180 degrees C. Grease and line a large square brownie pan. Place butter and sugar in a large saucepan and heat, stirring regularly, until the butter and chocolate have melted. Set aside to cool for a few minutes. Add the flour, brown sugar and baking powder and mix. Add the eggs and vanilla, stirring briskly so the egg doesn’t start to cook. 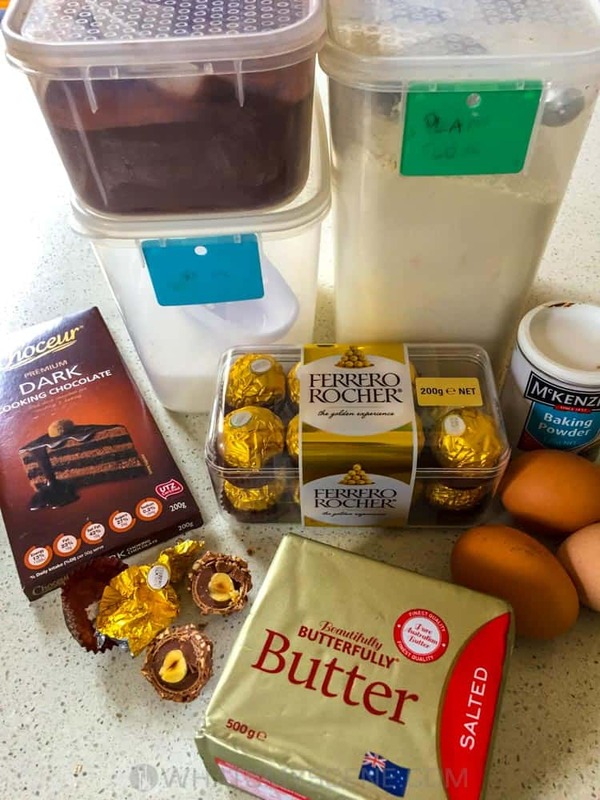 Roughly chop the Ferrero’s – you don’t want them to be too fine, as it looks great if you can see them as you cut the brownies onto slices. 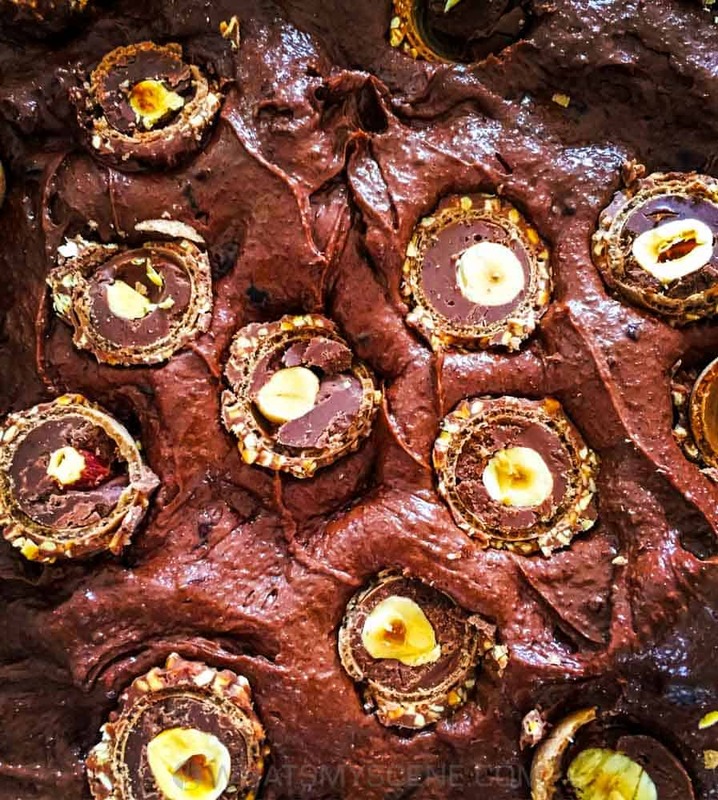 Pour the batter into the prepared pan and press most of the chocolates into the brownie batter and sprinkle the remaining over the top. Pour into the pan and bake for 35 minutes. When the brownie is cooked, remove form the oven and allow to cool in the tray. When completely cold, remove from the tray and cut into squares.